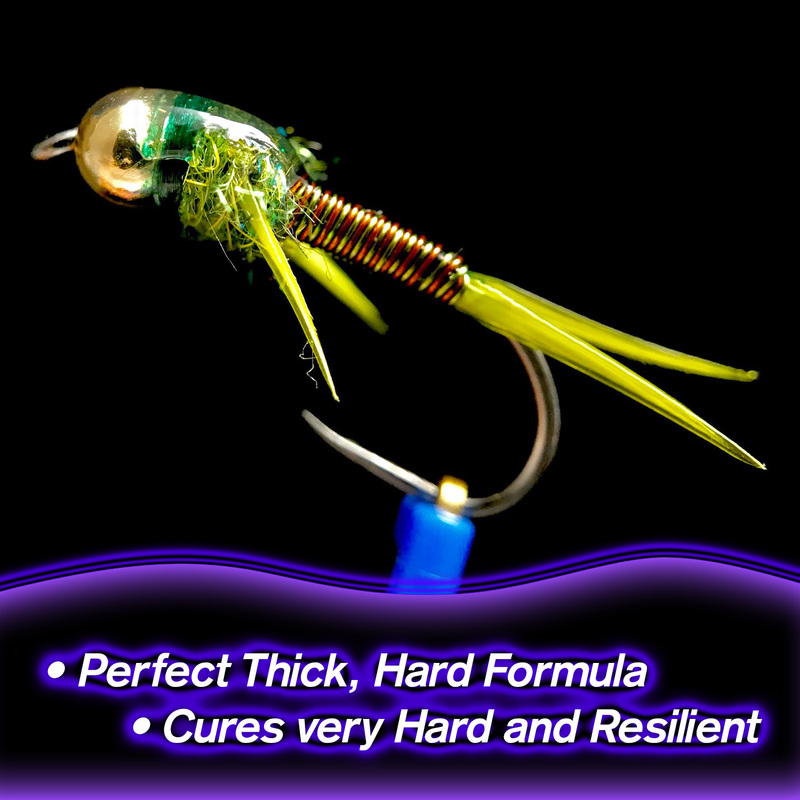 I am new to UV resins, but I. 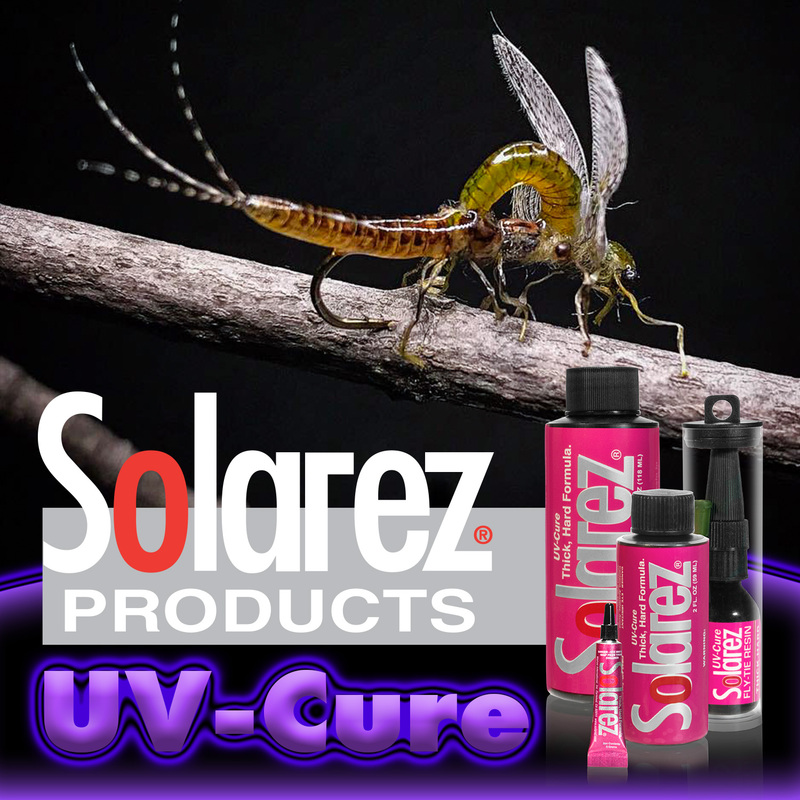 Can honestly say that this product works very well with the Solarez UV light, and it’s easy to apply and work until you are ready to set it. The only think I would like to see is a sealable syringe or brush applicator just to make it a little easier to apply without making a mess. I used a toothpick to apply and it went on my flies cleanly, but there was a tiny bit of waste with each application. 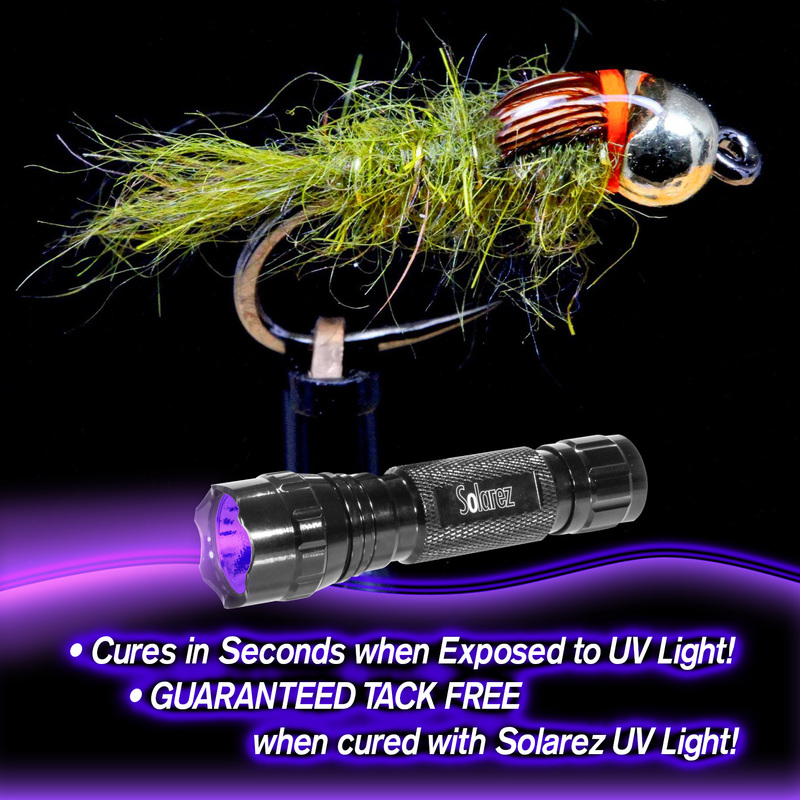 I’ll be buying more, this stuff is a very useful product.. Oh,,, and it is tack free. fantastic product, non tack , exellent consistency. It should maybe come with a nozzle for more accurate application. This is for the larger bottle like the one i bought 4 oz. 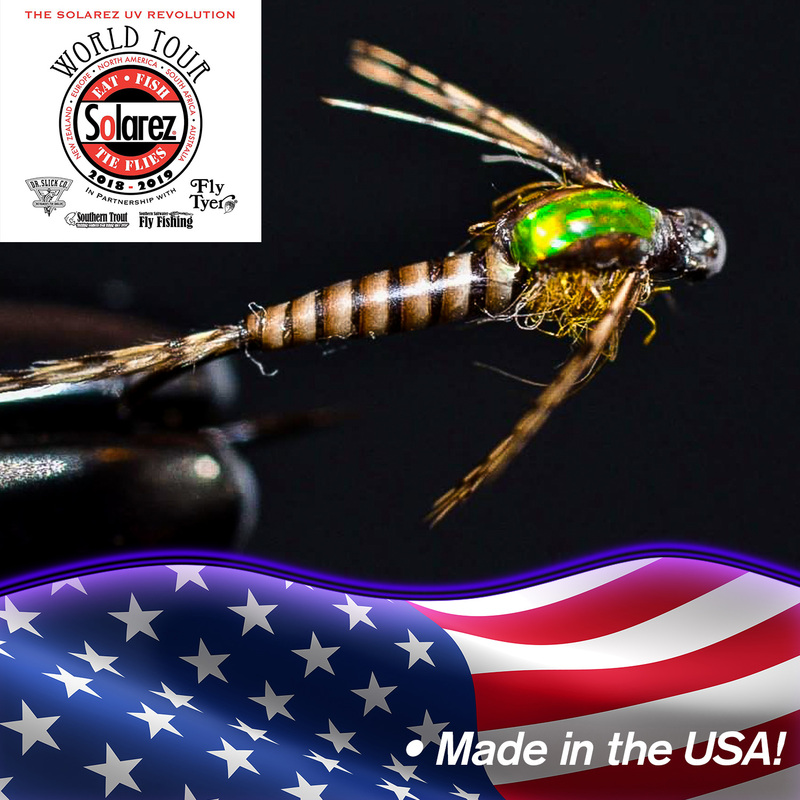 Great stuff use it for everything on my flies. Price is also a lot better compared to other brands. No tack, great price, pine fresh smell (I should stop smelling it). You can even sand this stuff. Nail polish level gloss, too. So much better than Loon. We were using two-part epoxy to hold small parts in an electronic assembly but it was a pain waiting for it to harden. This stuff cures in seconds instead of minutes to a nice clear hard bond. I build guitars using reclaimed lumber. 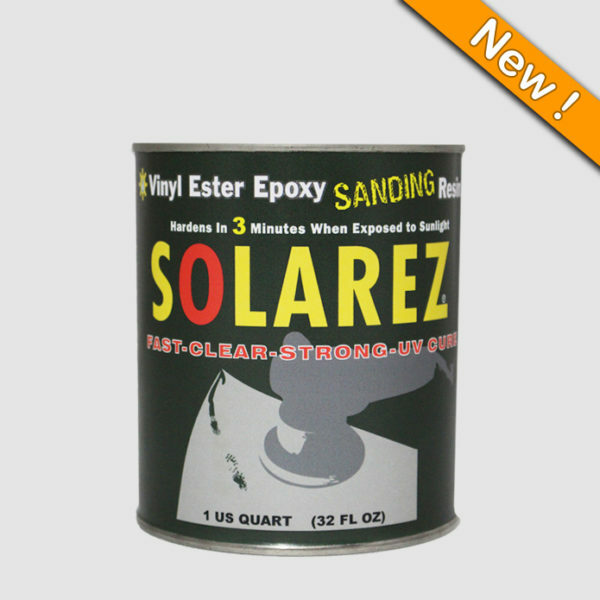 This works great for filling worm holes and flaws in my wormy chestnut guitar builds. It is fast and crystal clear. 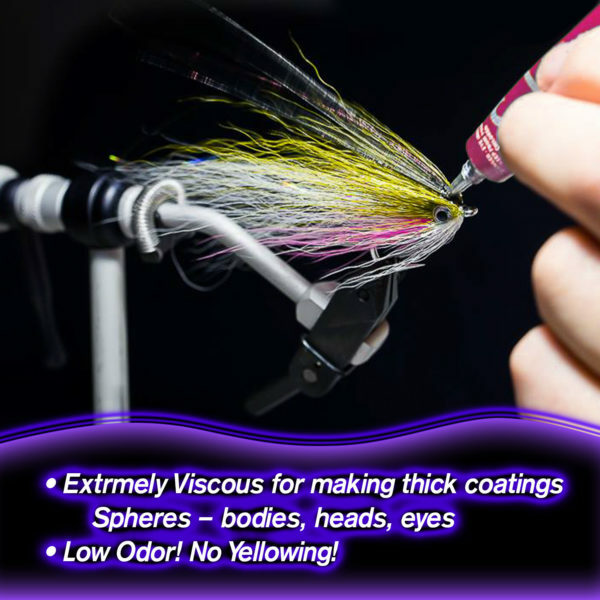 This stuff works great on all my flies! I’ve tried the other UV resins and Solarez is the best. Cures quick, not as messy, and cures tack free. I will buy nothing else from now on. Thanks for a great product at a very good price. I have been using this product for all of my flies and I have nothing to complain about. Cures hard fast and cures completely dry! No need for wiping with alcohol afterward. 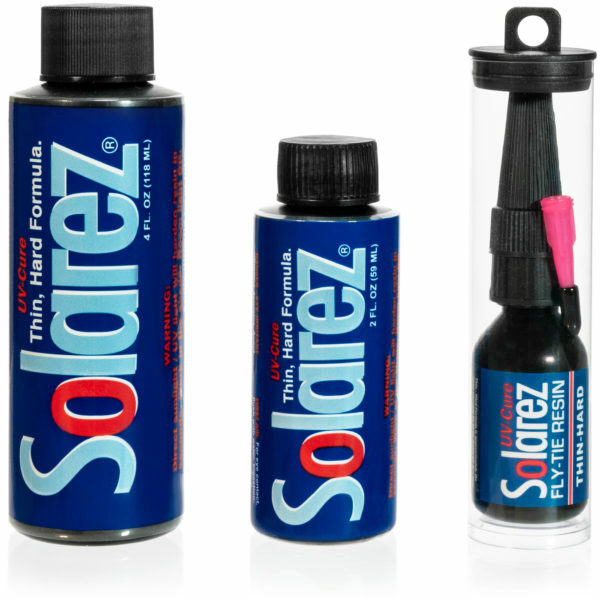 I recommend Solarez to anyone looking for a good quality UV cure resin. Well worth the investment! The product seem great. But I don’t like the bottle. Used a needle to open the top but the resin comes out way to slow. I’m afraid to use a bigger needle because I don’t want too much coming out.